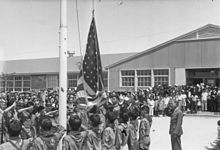 The surprise attack on Pearl Harbor on December 7, 1941, led military and political leaders to suspect that Imperial Japan was preparing a full-scale invasion of Hawaii and the West Coast of the United States. 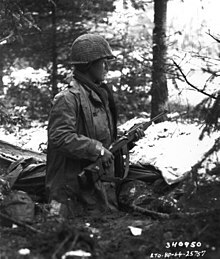 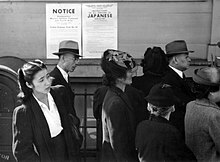 Due to Japan's rapid military conquest of a large portion of Asia and the Pacific including a small portion of the U.S. continent (i.e., Aleutian Islands Campaign) between 1937 and 1942, some Americans feared that its military forces were unstoppable. 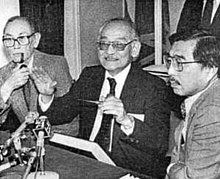 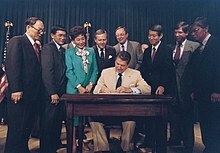 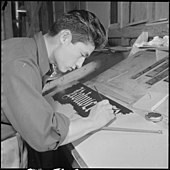 On August 10, 1988, U.S. President Ronald Reagan signed the Civil Liberties Act of 1988, which had been sponsored by several representatives including Barney Frank, Norm Mineta, and Bob Matsui in the House and by Spark Matsunaga who got 75 co-sponsors in the Senate, provided financial redress of $20,000 for each surviving detainee, totaling $1.2 billion. 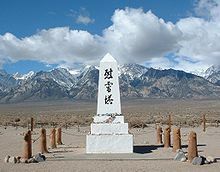 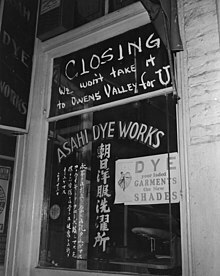 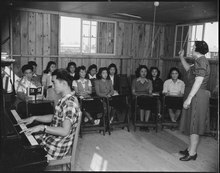 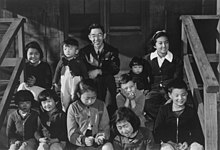 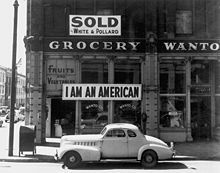 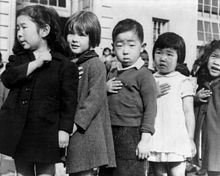 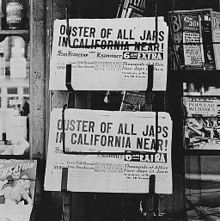 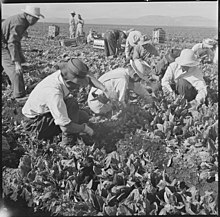 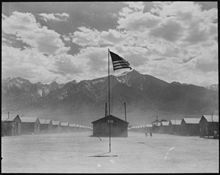 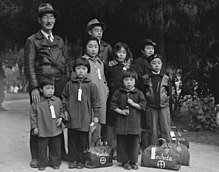 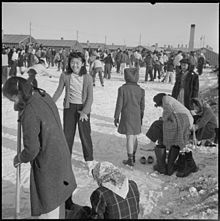 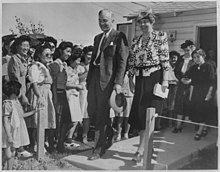 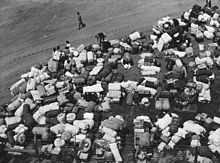 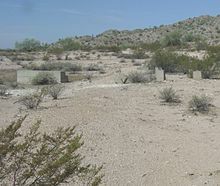 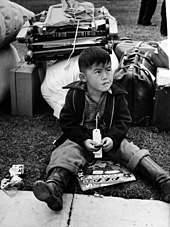 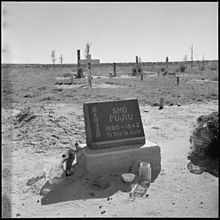 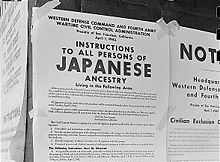 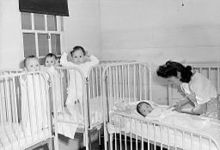 The question of to whom reparations should be given, how much, and even whether monetary reparations were appropriate were subjects of sometimes contentious debate within the Japanese American community and Congress.